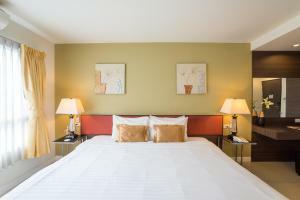 Spacious guestrooms at Beyond Suite feature a modern interior. 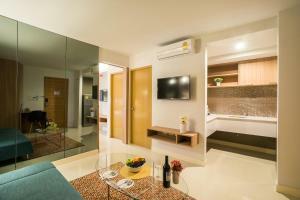 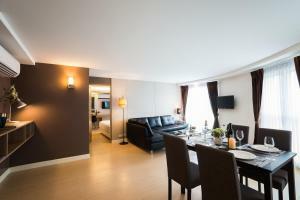 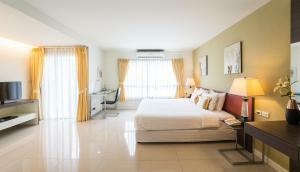 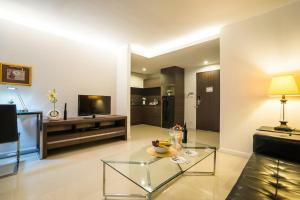 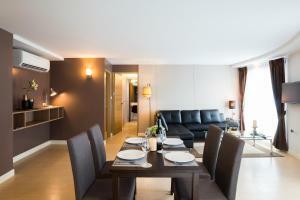 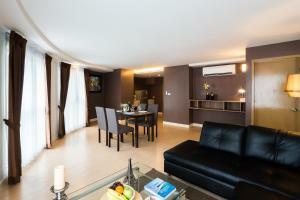 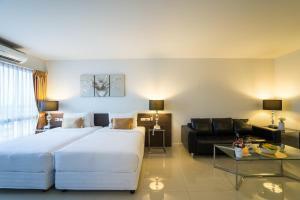 Each room is equipped with a minibar and a flat-screen TV with cable channels. 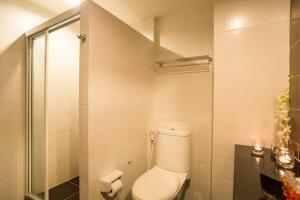 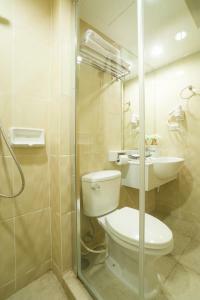 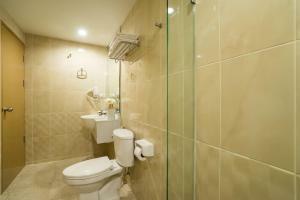 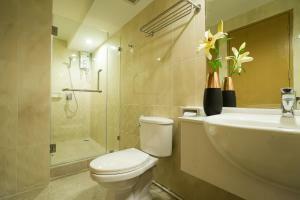 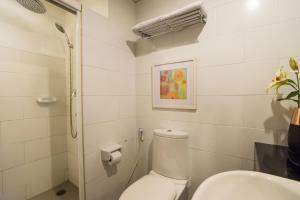 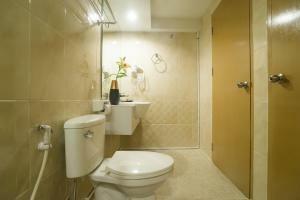 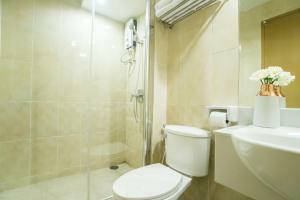 Rooms have a private bathroom with hot shower. 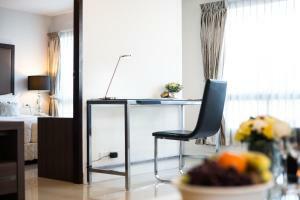 Hotel Beyond Suite offers safety deposit facilities at the 24-hour front desk. 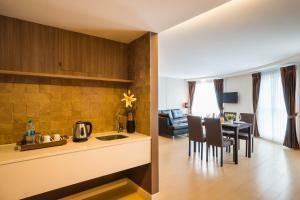 The hotel also provides laundry services. 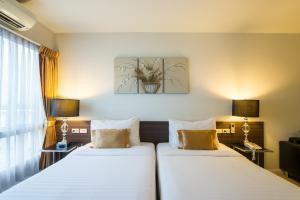 Ninety Nine Restaurant serves a selection of Thai and international dishes. 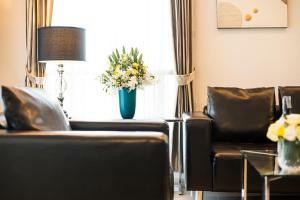 Guests can find light refreshments at the lounge bar. 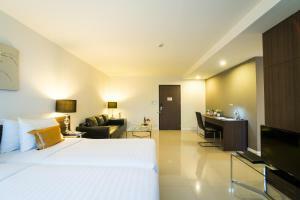 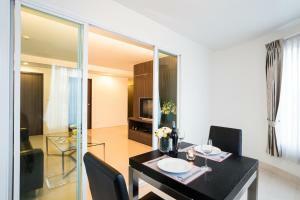 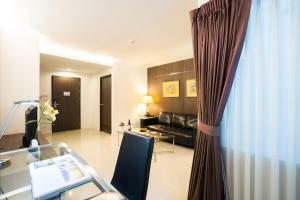 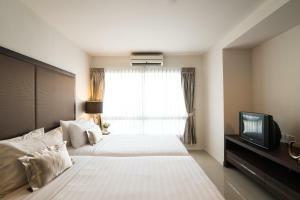 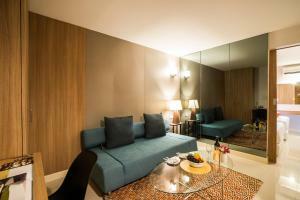 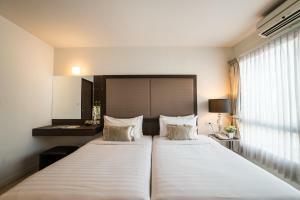 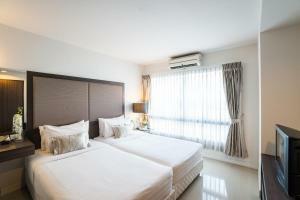 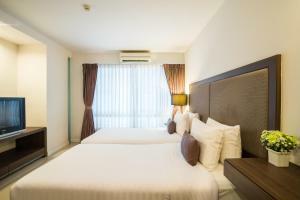 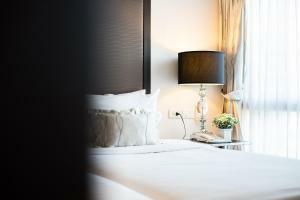 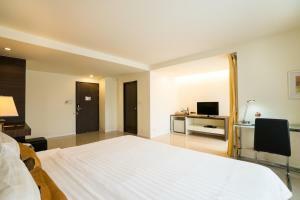 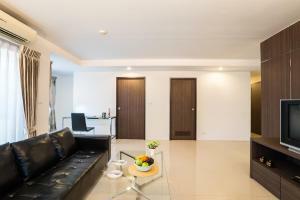 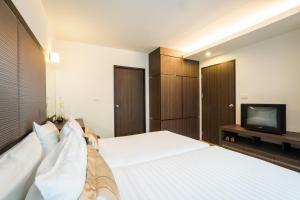 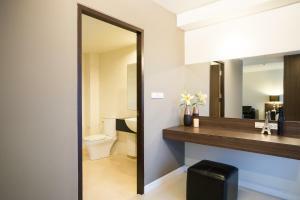 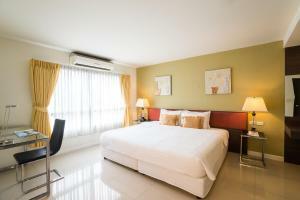 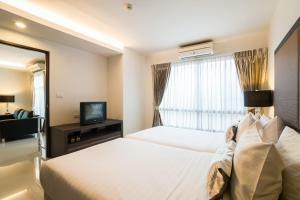 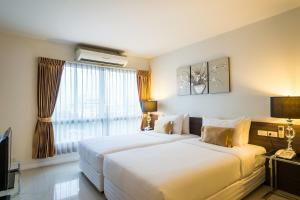 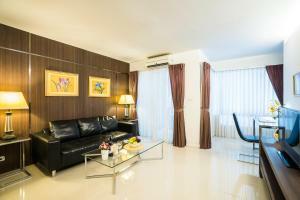 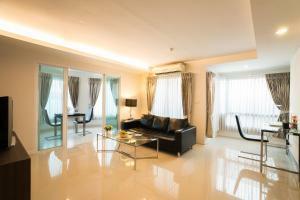 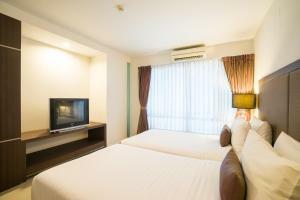 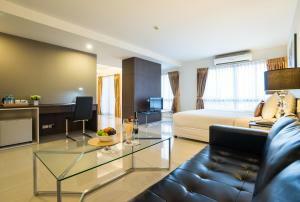 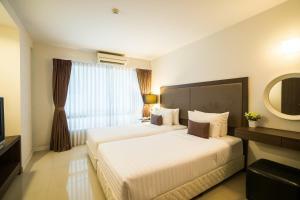 Beyond Suite Hotel is a 30-minute drive from Suvarnabhumi International Airport. 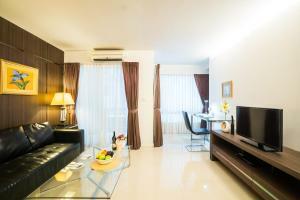 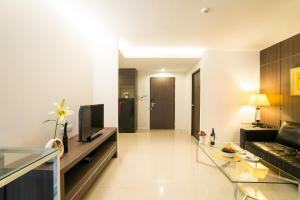 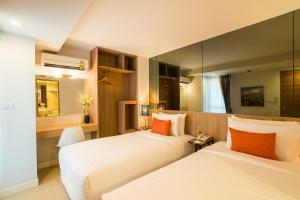 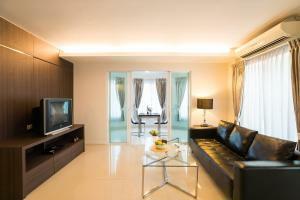 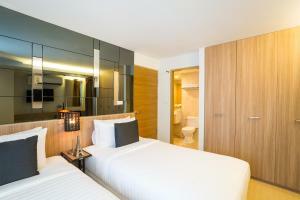 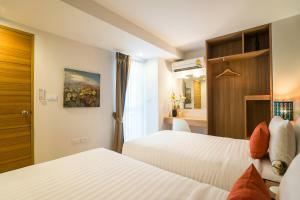 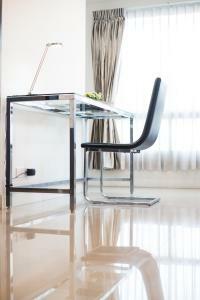 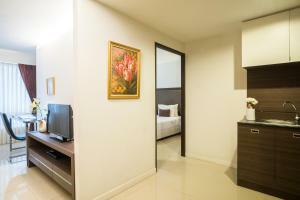 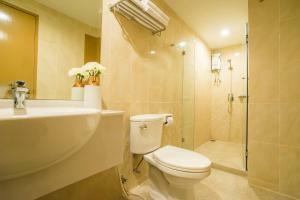 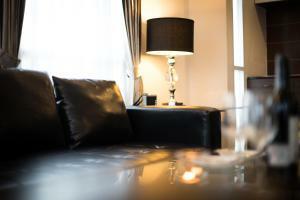 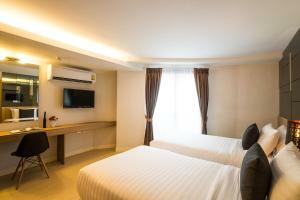 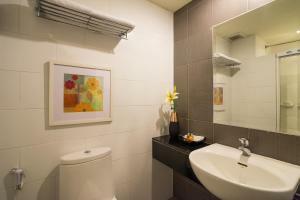 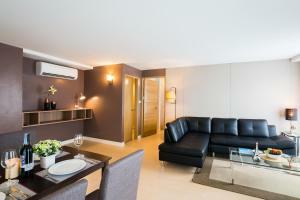 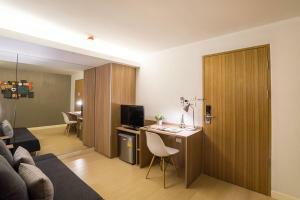 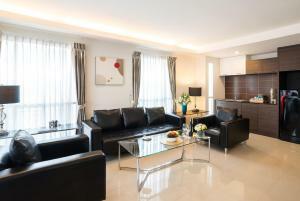 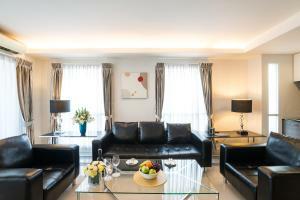 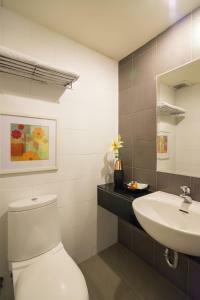 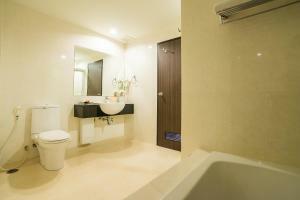 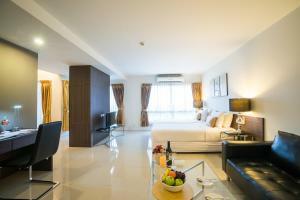 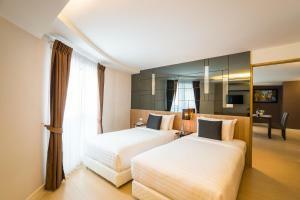 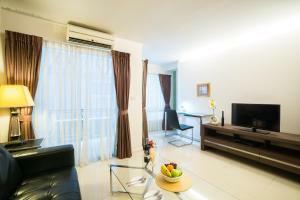 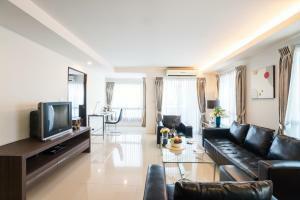 The hotel is a 20-minute drive from Siam Square and MBK Centre. 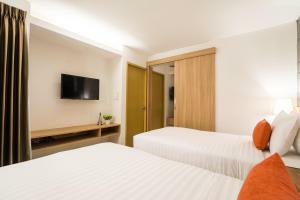 This twin/double room features a balcony, minibar and tea/coffee maker. 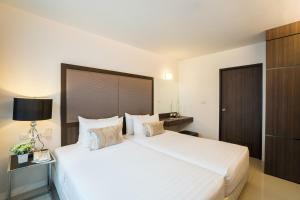 Rate: THB 1800.00 ... THB 3000.00; select dates below to get current rates. 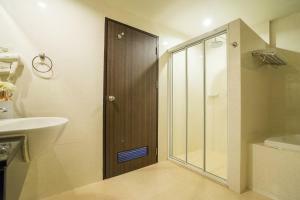 Spacious space, bathroom features with separate rain shower. 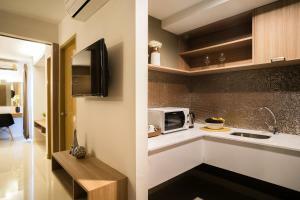 1 Bedroom, 1 Living Room, 2 Bathroom and 1 Pantry. 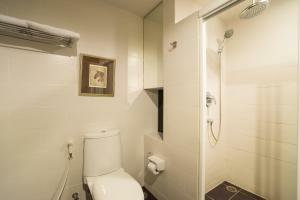 Spacious space, 1 Bathroom features with bathtub and separate rain shower. 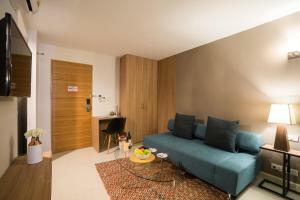 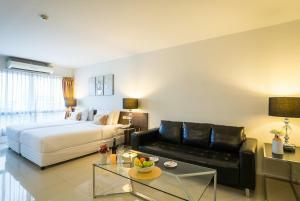 This twin room features a balcony, kitchenette and sofa.